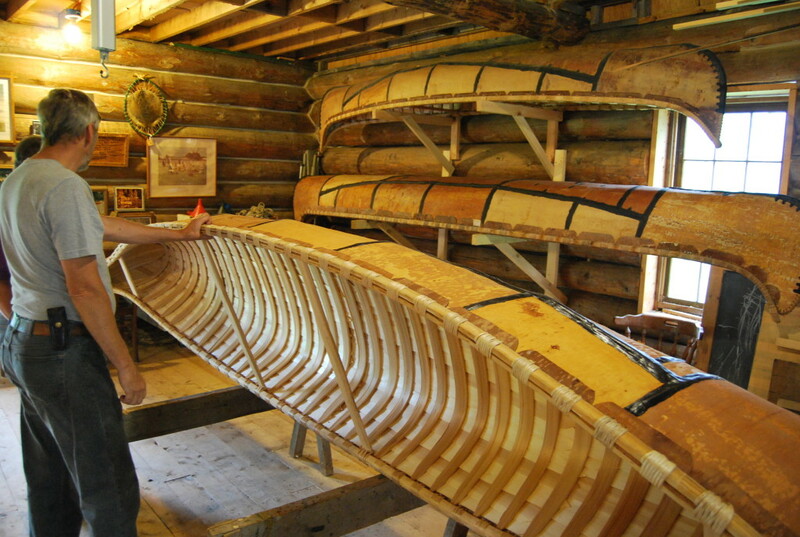 One of the last remaining craftsmen to keep this tradition alive, Ray Boessel Jr. makes birch-bark canoes in the same fashion that the voyaguers, settlers, fur-traders and Natives made hundreds of years ago. He does this in a barn at Hafeman Boat Works near the Big Fork River just outside of Bigfork, MN. And it’s amazing. 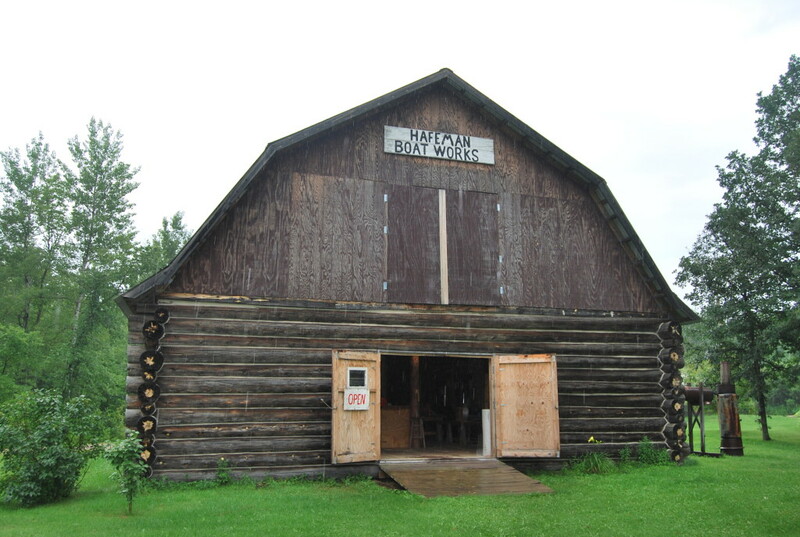 Hafeman Boat Works was started by Boessel’s wife’s grandfather, Bill Hafeman, back in the 1920’s. He and his wife homesteaded in the area and needed a better way to traverse the 7-mile trek into the town of Bigfork each week. He began making the homemade wooden canoes through a process he learned from a local Native American in the traditional fashion: using sheets of birch bark, cedar strips for the ribs and frame, and black spruce roots to bind it all together. Bill Hafeman carried on this tradition for over 60 years, becoming famous for his canoes, some of which ended up in museums; one is owned by the National Park Service at the Grand Portage National Monument in Grand Portage, MN; and one was even purchased by Lady Bird Johnson, wife of US President Lyndon Johnson, of course. 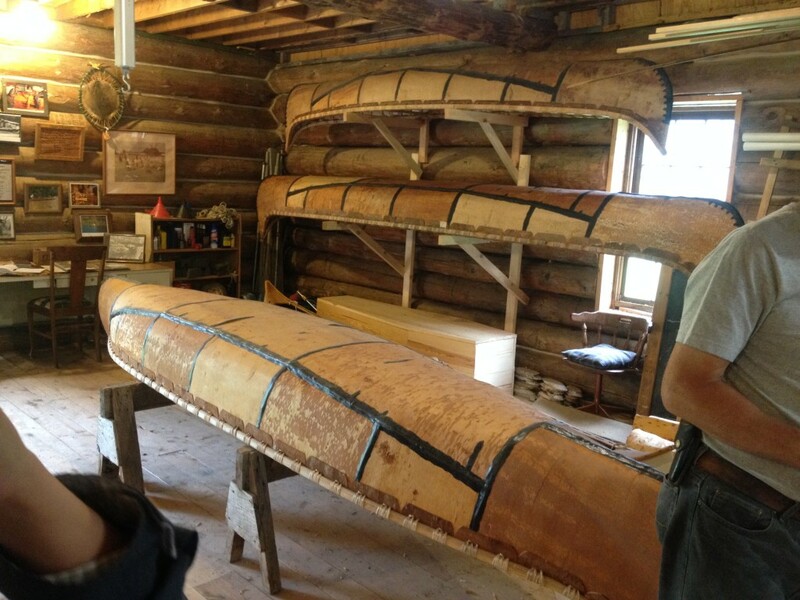 Ray Boessel Jr. keeps the tradition alive to this day, doing each canoe by hand in his shop. He gives free tours of the place and sells to anyone interested. 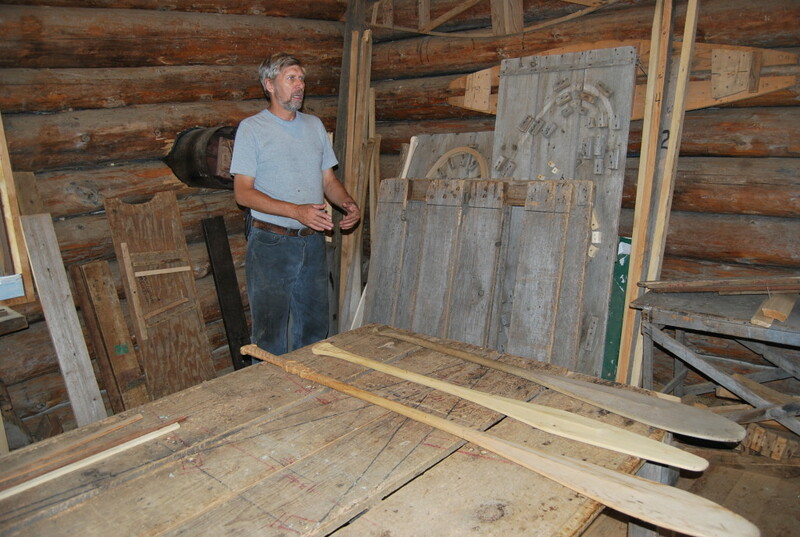 During the tour, we learned of his process, which he said generally takes about two weeks, depending on the canoe size. 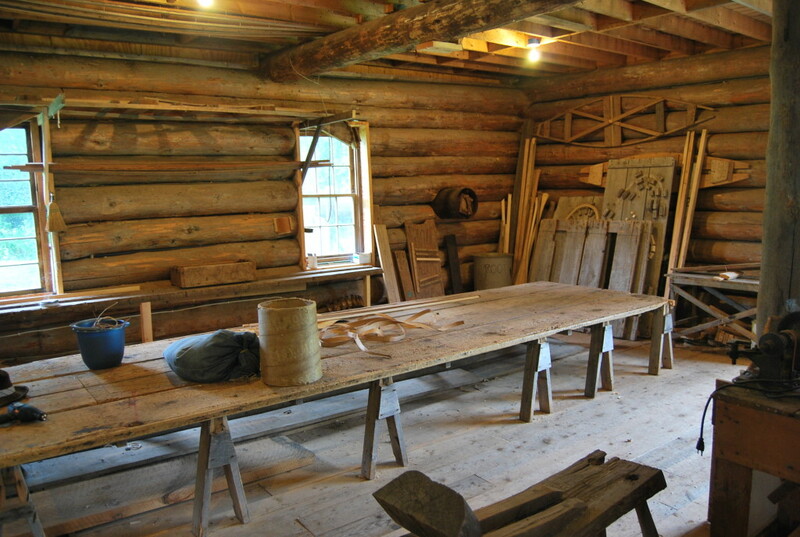 He finds materials in the nearby logging region and the only non-natural material used is a seam sealant (traditional construction used pine sap or bear grease). There are no screws, nails, glue, or metal used. Ray said that although business has slowed down in recent years, he still makes canoes by request, maybe around 5-10 a year. They are beautiful, intricate masterpieces, each constructed with precision and perfection. 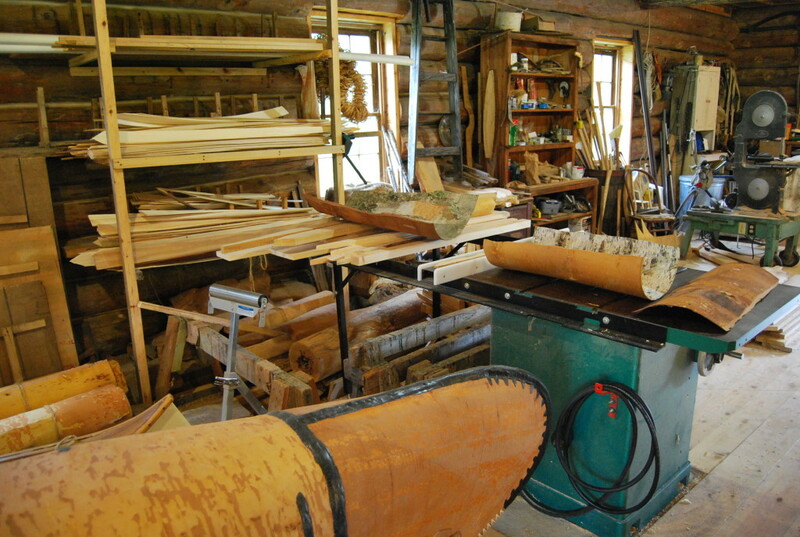 He also makes smaller display replicas, canoe oars, and even coffins. 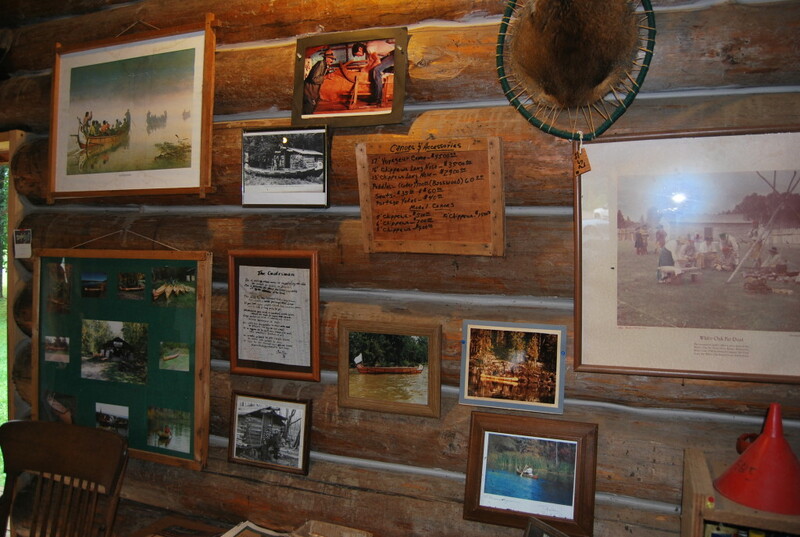 His canoes are very reasonably priced, especially for the amount of handmade craftsmanship that goes into each one. His canoes are considerably less expensive than the handful of other folks in the US making them, which are scarce. 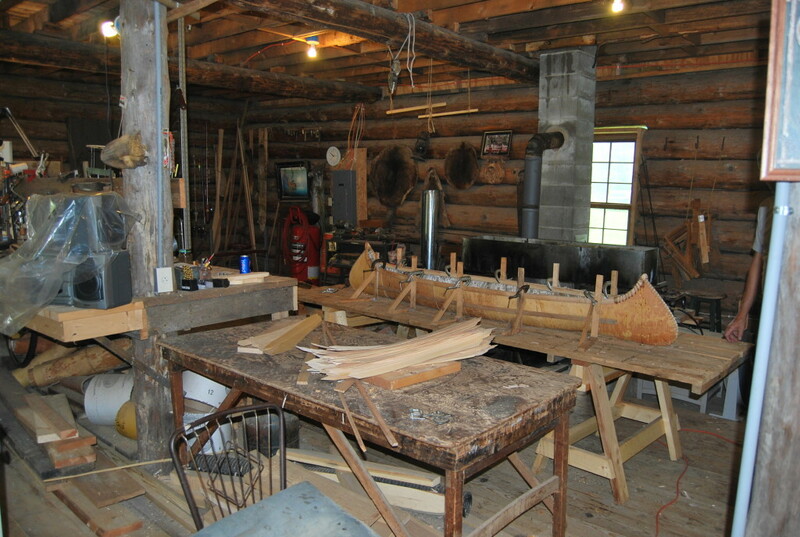 Boessel is one of the last remaining builders of these canoes, and the only one in Minnesota. The canoes are used at the “Rendevous” festivals, the largest early America & fur-trade “living history” reenactments in places like Mille Lacs, and Albert Lea, MN and elsewhere. There are no surviving canoes from the early settler days, but Ray’s canoes are made in the same fashion and tradition and are a rare, original piece of history all their own. 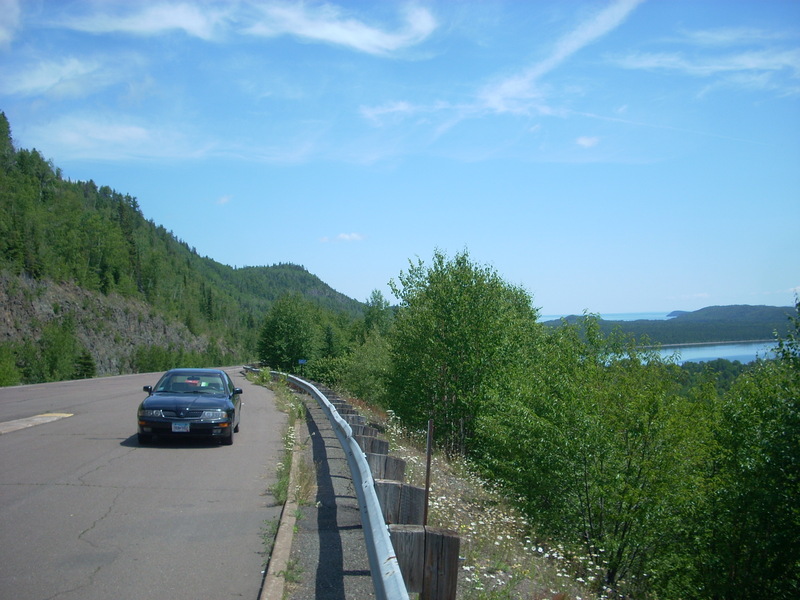 While in the area: Bigfork and Effie are cool little logging towns with some great roadside attractions, and the nearby Scenic State Park is a great wilderness retreat for canoeing, hiking, and fishing among the beautiful lakes and towering pines. Is your canoe for sale? By inheritance I have come to own a 13’ Chippewa Long Nose Birch Bark canoe with 34” beam made by Hafeman Boat Works, in June 1996. Paperwork states that it was built by Ray Boessel Junior. It was lightly, if ever used in recent years and carefully stored across rafters in our barn located in Marengo, Illinois. I just put it up for sale at $2.600.00 on the wcha.org website if you are interested. My 97 year old mother-in-law has entered assisted living. I’m in the process of cleaning out her basement and garage. In the garage rafter, is a birch bark canoe that she claims was built by her father and Mr. Hoffman (sp). They would vacation all summer at a Minnesota lake named “Big Too Much”. I’m trying to find out how to verify if the canoe is really a Hafeman canoe. The time era would have been late 50s early 60s.